We are seasoned, Board-licensed and Certified instructors with decades of clinical experience and a passion for education! 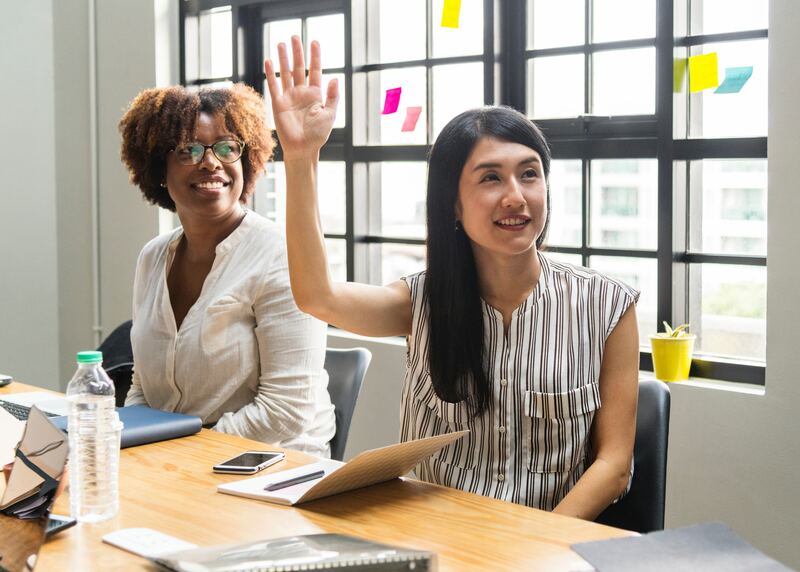 Our well-rounded classes offer researched and time-tested learning techniques, fine-tuned to meet the evolving needs of the profession and industry. Receive the perfect balance of theory, hands-on practice, 1-2-1 coaching, Q&A sessions, case studies, and marketing insights. Our classes are kept small on purpose: we believe in the benefit of learning in comfortable and intimate classes with no more than 18 students, where our instructors can be readily available to all participants, answer questions comfortably, establish a personal rapport, and ensure all participants receive 1-2-1 coaching during the class. Our classes are taught in English and/or Spanish by native speakers, depending on location and schedule. 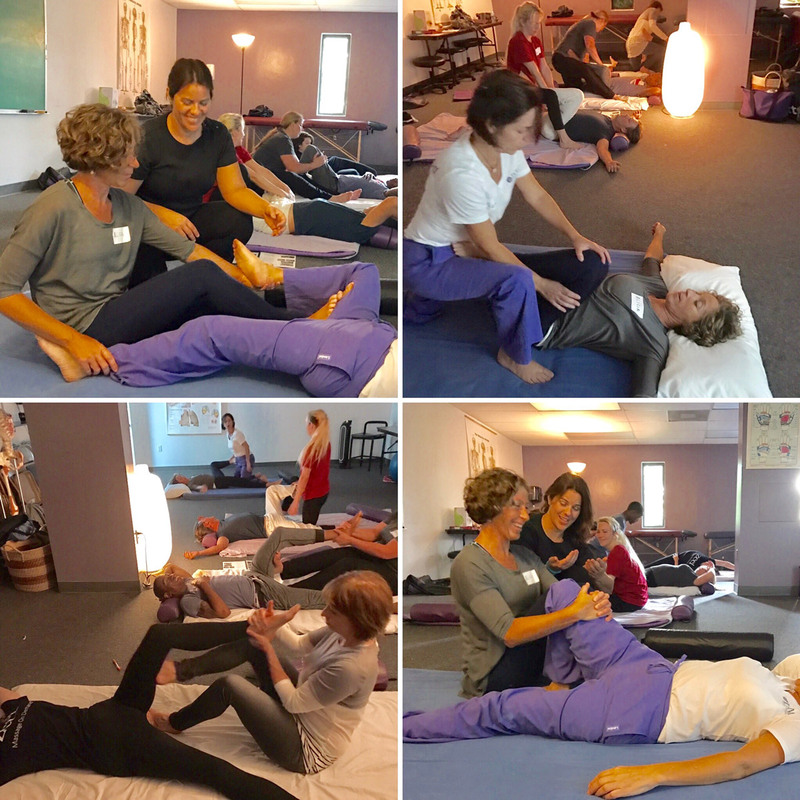 Advanced hands-on bodywork education received in the therapist’s native native language enhances the safety, skill and quality of our profession, making the therapeutic benefits of our work available to many more. Designed by prenatal massage Pioneer, Claire Marie Miller, this certification course in pregnancy massage, labor massage and support, postpartum massage and newborn/infant massage is one of the premier nationally recognized certifications, and has been taught since 1988. This 24-CE hour certification includes a live clinic with pregnant volunteers on the second day of the course to enhance your learning. At the end of this course you will sit through a certification examination. Upon passing the examination you will receive a Nurturing the Mother® Massage Therapist Certification. The Daybreak Geriatric Massage Institute Certification is the #1 recommended and nationally recognized training program in geriatric massage with a curriculum that has been taught in North America since 1982 and recognized by NCBTMB and AFMTE. 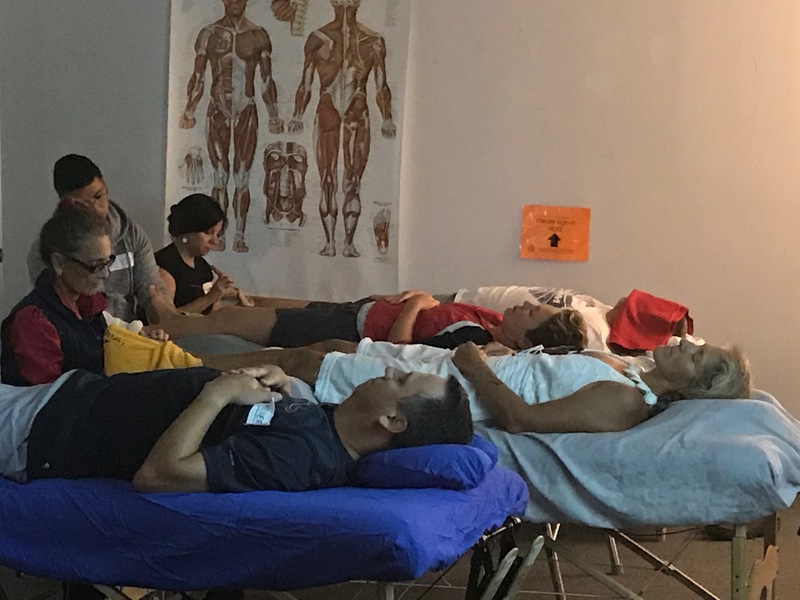 This 18 CE class explores deep tissue and myofascial techniques in the side-lying position. 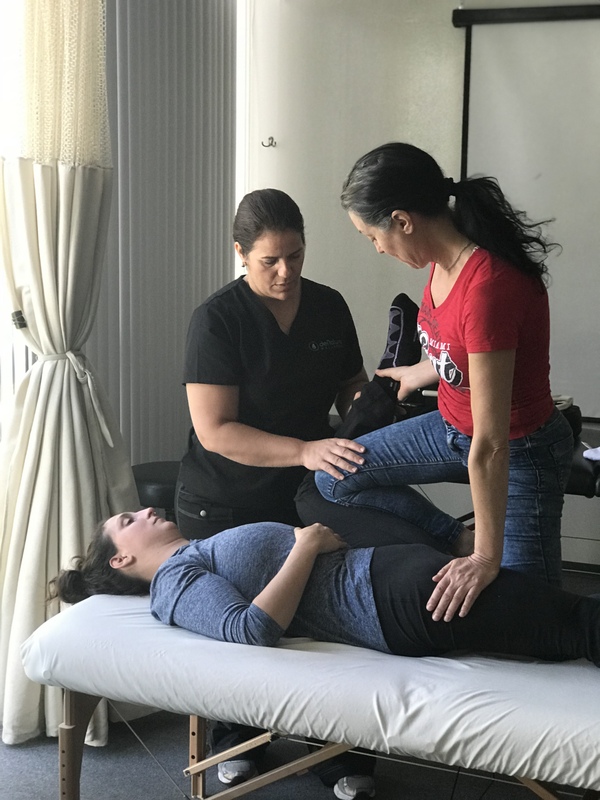 The course focuses on safe and effective side-lying draping and bolstering, body mechanics, and how to work 3-dimensionally on deep tissue techniques and release mayo-fascial adhesions. This 64 CE Certification in Traditional Northern Style Thai Massage On The Mat, is divided into 3 segments: Supine position (18 CE), Prone Position (18 CE) and Side-Lying & Sitting + Clinical Practicum (28 CE). Traditional Thai massage is a healing art that has been used medicinally for centuries and seamlessly blends acu-pressure, stretching and guided breathing thus working on the physical, emotional and spiritual aspects of bodywork all in once. This 18 CE class teaches the ritual of chakra energy balancing through the use hot and cold stones and the anointment of therapeutic essential oils. Influenced by the Hawaiian/Polynesian style of geo-thermal massage, the course lays out a foundation for a ritualistic and deeply therapeutic and nurturing healing journey. This 18 CE course combines the therapeutic effects of foot reflexology and essential oils, as well as introducing the wooden tool to prevent joint deterioration in the therapist’s hand. 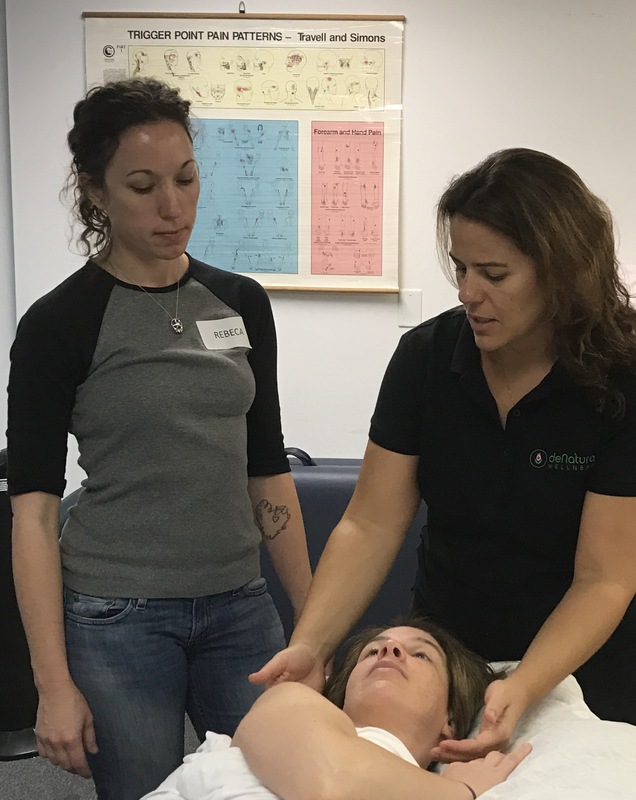 The course teaches a full step-by-step acu-pressure massage protocol, guidance on therapeutic oil usage by reflex point, therapeutic protocols for common conditions, and a focused approach to healthy body mechanics. This 12 CE course will teach you how to create, safely apply and use the steamed herbal poultice “herbal ball” as part of a unique and relaxing massage ritual. You will learn safe and effective massage techniques using the herbal poultice to release tense muscles, and also learn how to create your own herbal poultices. Course includes 2 herbal balls per student and DIY kit. 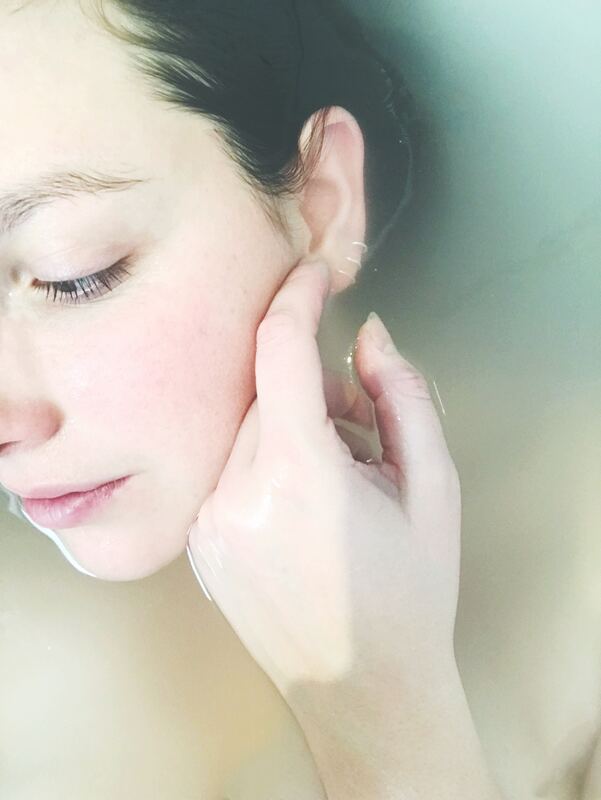 This 12 CE course led by both Teba Orueta and Dr Marisol McManus will enable you to become proficient in offering a deeply relaxing and therapeutic treatment for the face, neck, and head. You will learn a selection of effective acu-pressure, myofascial, facial cupping and gua sha scrapping techniques to help with TMJ, migraines, eye strain, and the appearance of wrinkles. 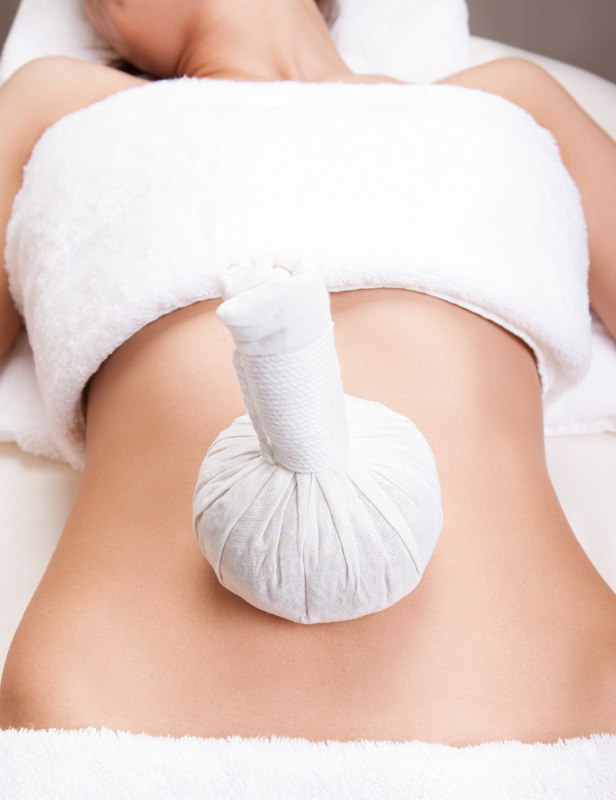 The protocol can be applied as a stand-alone treatment or as part of a full body massage. Teba Orueta, B.A., LMT, is a Board-Licensed Massage Therapist, Certified Yoga Instructor (YA-200) and Professional Educator. She teaches on behalf of The Daybreak Geriatric Massage Institute and Claire Marie Miller Seminars, in Florida and the Caribbean. 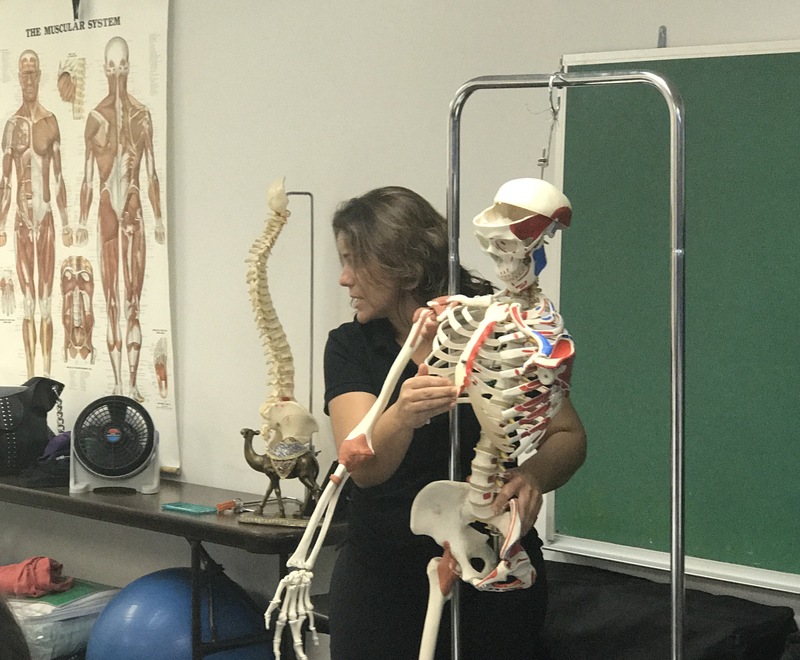 Teba has taught advanced technical training in skilled hands-on bodywork to healthcare professionals and SPAs, including The Westin Cayman Islands and The Ritz-Carlton Abama Golf & Spa Resort. 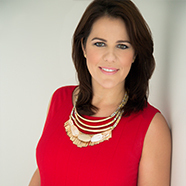 She combines her Sales & Marketing background with her skilled passion for holistic healing techniques to create versatile, fun and highly educational seminars filled with 1-2-1 coaching, hands-on practical training and marketing insights to help therapists promote their practice beyond the classroom. Board-Certified in the State of Florida as a Licensed Massage Therapist. Certified as a Yoga Instructor 200. Certified Prenatal Therapist. Certified Geriatric Massage Therapist. WOULD YOU LIKE US TO TEACH AT YOUR LOCATION?